The Tundra Wolf (Canis lupus albus) is a subspecies of Grey Wolf that can be found throughout northern Europe and Asia, primarily in the northern arctic and boreal regions of Russia. Although Tundra Wolves were eliminated from some of the Arctic islands north of Siberia, they have been recently seen on Wrangle Island. 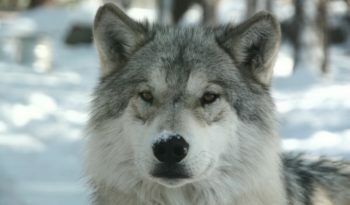 Consistent with Bergmann’s Rule (Bergmann’s rule is an ecogeographic rule that correlates latitude with body mass in animals), tundra wolves are among the largest of grey wolf subspecies. Tundra Wolves can attain a body length of 2 metres (7 feet) and usually an average weight of 45 – 57 kilograms (100 – 125 pounds), though there are some unconfirmed reports of animals reaching weights of 100 kilograms (220 pounds). 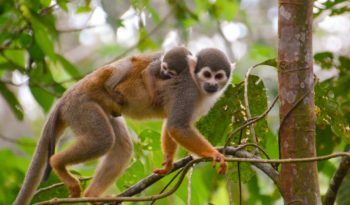 Males are usually larger than females. 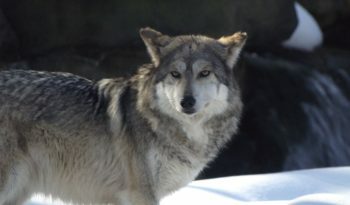 Most tundra wolves have a grey colour, with mixes of black, rust and silver grey. Like most canids, Tundra wolves have a high body, long legs, broad skull tapering to a narrow muzzle. 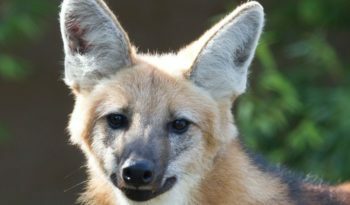 Their tail is bushy and their coat has a thick, dense underfur. 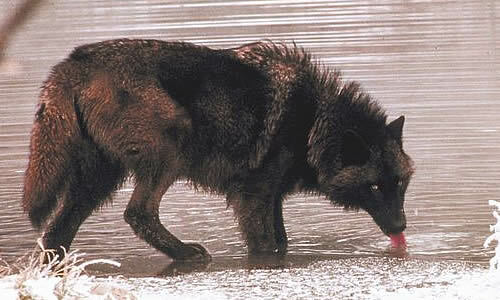 Due to the high latitude of their environment (71 degrees), they breed much later in the year than most other wolves, usually in late March through April. 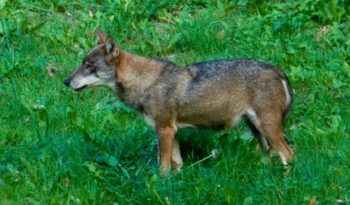 Females enter into an estrus period for approximately 5 – 15 days during which time she will mate with the male Tundra Wolf. Gestation period for the female Tundra Wolf is 62 – 63 days. Between 2 – 6 wolf pups are born and are nursed for a duration of around 45 days. The life span of the Tundra Wolf is around 16 years. Like all wolves, Tundra wolves are carnivorous. They primarily prey on large mammals such as deer, wapiti, moose, caribou, bison, musk ox and mountain sheep. Their smallest prey taken consistently is beaver. 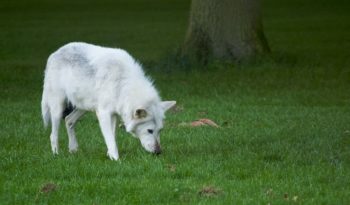 An adult Tundra Wolf can consume as much as 9 kilograms (20 pounds) in one feeding. Tundra Wolves are classed as ‘Least Concern’, however, Tundra wolves are especially vulnerable to the fur trade, as their pelages are more luxuriant than forest dwelling wolves, sometimes selling for twice as much.